From a beguiling voice in Mexican fiction comes an astonishing novel--her first to be translated into English--about a mysterious child with the power to change a family's history in a country on the verge of revolution. From the day that old Nana Reja found a baby abandoned under a bridge, the life of a small Mexican town forever changed. Disfigured and covered in a blanket of bees, little Simonopio is for some locals the stuff of superstition, a child kissed by the devil. But he is welcomed by landowners Francisco and Beatriz Morales, who adopt him and care for him as if he were their own. As he grows up, Simonopio becomes a cause for wonder to the Morales family, because when the uncannily gifted child closes his eyes, he can see what no one else can--visions of all that's yet to come, both beautiful and dangerous. 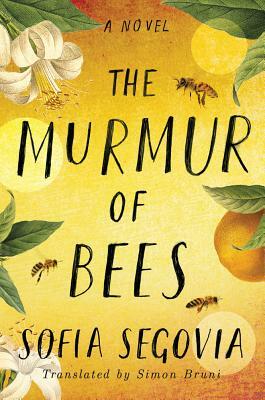 Followed by his protective swarm of bees and living to deliver his adoptive family from threats--both human and those of nature--Simonopio's purpose in Linares will, in time, be divined.